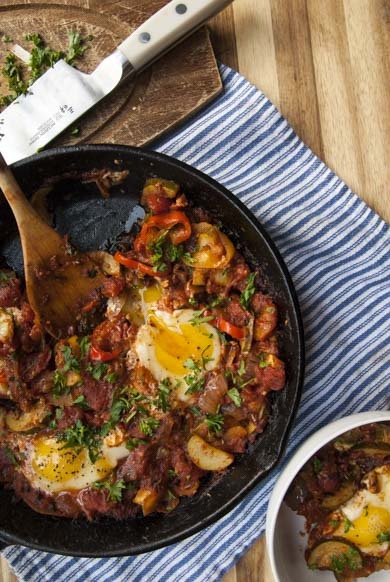 One time someone told me if you stare too long at this Easy Shakshuka Recipe, it will come out of this photo and haunt you. But if you stared for at least 30 seconds, I would not have blamed you. I would like to be haunted by this beauty. You see, this meal really speaks to me right now. 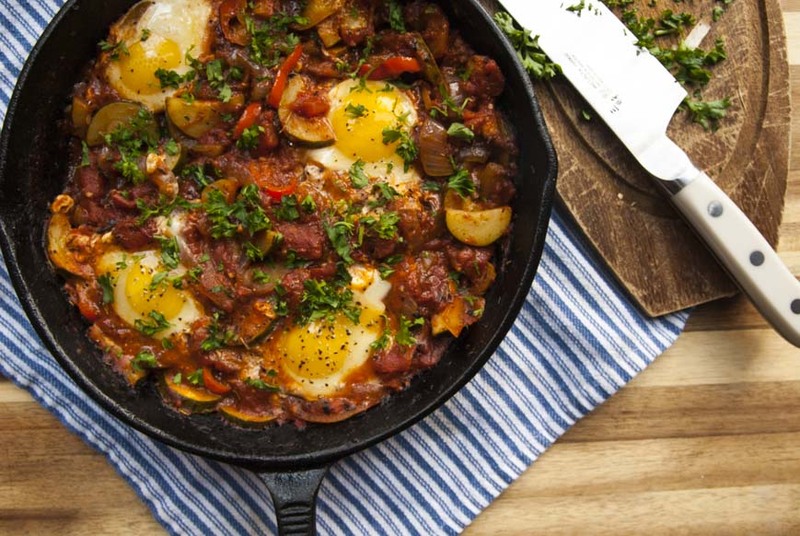 This Easy Shakshuka Recipe. Why? 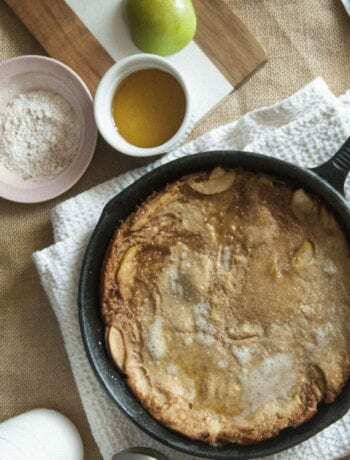 Well, if you have been following along my journey through my past few blog posts you will know I abruptly decided to try out the ketogenic diet. 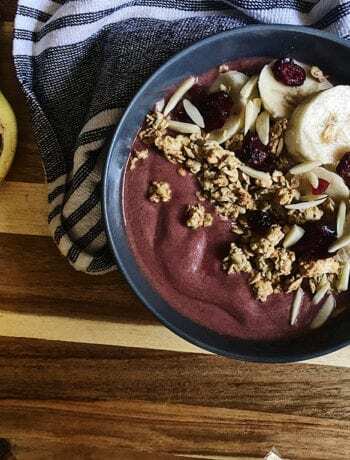 At my day job I’m in charge of a health and fitness page and naturally decided to try a crazy life altering diet, so I could blog about it. So here I am 14 days in a keto sea of no bread, no sugar… and I’m swimming baby. I will say that I definitely have not woken up with any superpowers or anything, I’m still waiting. I’ll let you know. I don’t feel extra good, but I’m not feeling crappy? So IDK what my take is on this keto thing yet. TBD. I do still love the bullet proof coffees though, they are my jam. 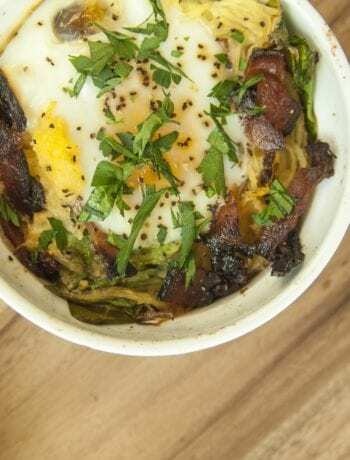 Anyways, this Easy Shakshuka Recipe was a no-brainer because I’ve always wanted to do shakshuka and now there was absolutely no reason to not. Also, eggs. I’m not going to say anymore… just eggs. Anddddd I get to cook with my most prized possession: my cast iron skillet. 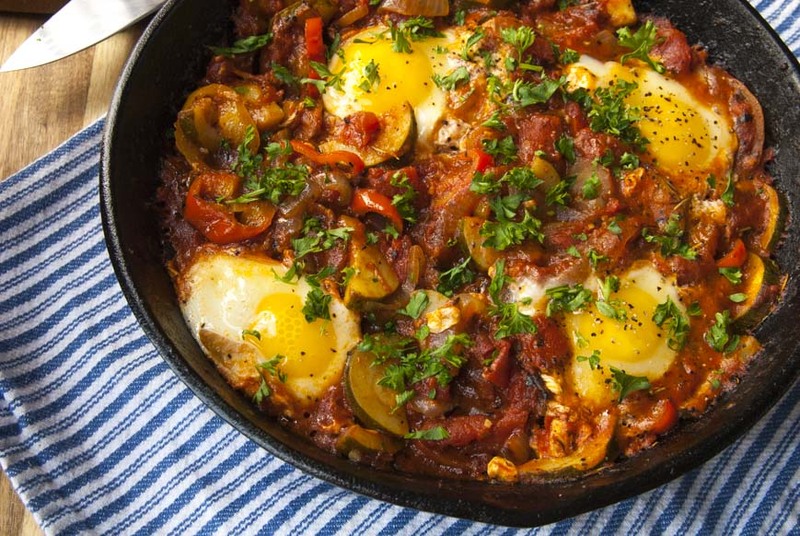 Now Shakshuka is a very common middle eastern dish and as you can imagine there are a ton of riffs. 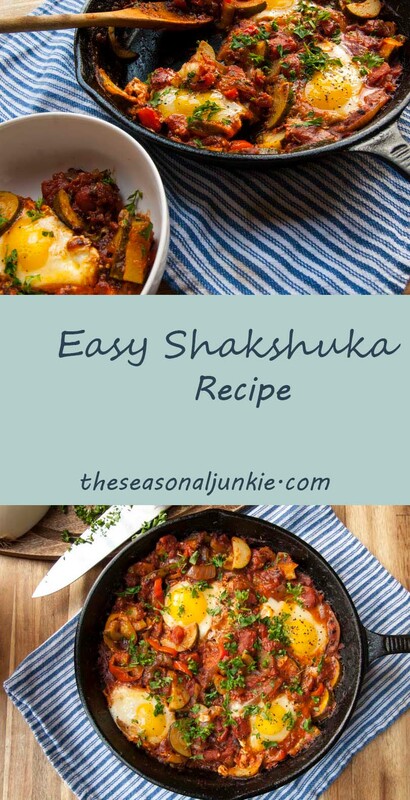 But this Easy Shakshuka Recipe is my take on it. With it being summer, I got all seasonal veggies and they simmered in a matrimony of elegance. Matrimony of elegance…. That’s a pretty legit way to describe something, use it if you want. You’re welcome. Want an Avocado Smoothie? You’re in luck. Click me. Click me. Anyways my commitment was to try this diet out for 21 days, so I have one week left. I’ve tried enough funny business with diets to know what I like about eating and how I feel, so there are things that I will incorporate into my life that I hadn’t before, but by George, am I excited to roast a sweet potato. Well whip this Easy Shakshuka recipe up and if you haven’t tried to drastically alter your diet like me, have a piece of crusty wheat bread with it. 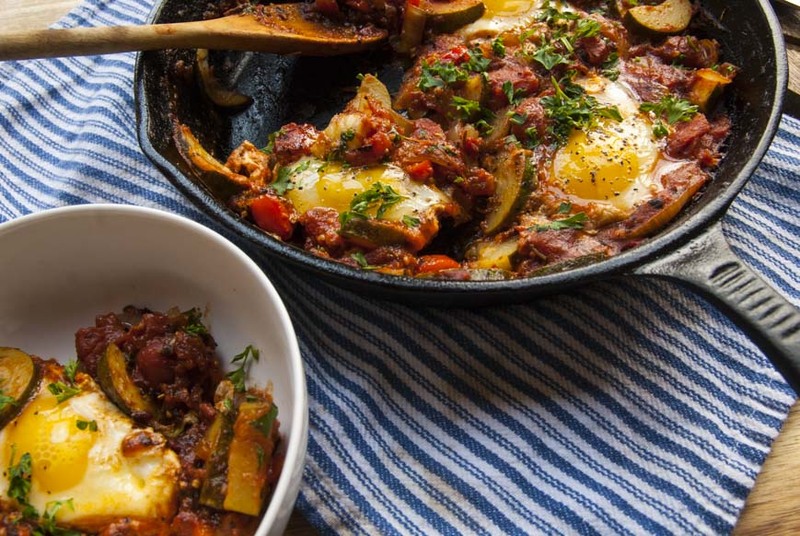 Once egg whites have set your shakshuka is done! Top with chopped parsley, labneh, cheese of choice or sour cream. This looks so good! I keep seeing shakshuka in my recipe books and I’ve been wanting to try it! Now it’s officially on my to-be-made list, haha!